Mimosa Candy Dish - TT079 [TT079] : No Skew Turns, Gifts handcrafted from the world's beautiful woods. Mimosa is a very light-weight wood with strong color contrasts in the growth rings. 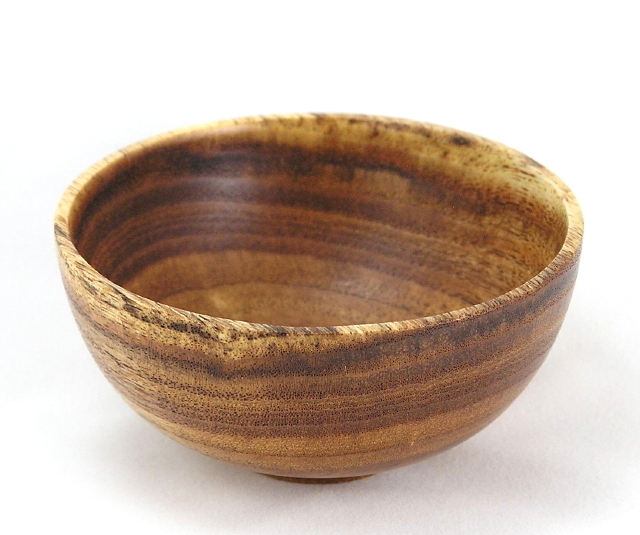 This bowl is a perfect size for hard candies, mints, or shelled nuts. 1.7" high x 3.5" diameter.